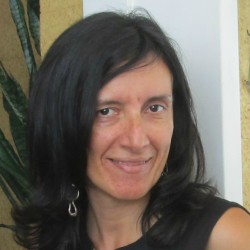 Cristina Ramos is an economist with a master in Development Economics and International Cooperation. She has been working for the National Statistical Office Portugal since November 1997. Starting in the field of National Accounts and Economic Accounts for Agriculture as a junior statistician she is now senior statistician in the Unit for Satellite Accounts and National Accounts Quality Assessment, being head of unit since September 2010. Presently, this unit carries out the satellite accounts for agriculture (at national and regional level), forestry, health, environment, tourism, sea, sports, culture and social economy (2010 and 2013). This unit implemented the first specific Statistics Portugal Survey on Volunteering (2012); additionally, it compiles agricultural prices statistics, annual National Accounts for Agriculture, Forestry and Fisheries, and the Portuguese Gross National Income Report. It coordinates the Portuguese Gross National Income Inventory of sources and methods; carries out studies to measure disparities in a National Accounts framework; compiles sustainable development indicators and coordinates the working group in Statistics Portugal on Sustainable Development Goals.